Yeah, so it's been a while, hi everyone!, hope you remember me .-. Time: I really have no idea, I paused it A LOT. I think I picked the image because at that time I was playing KH 358/2 Days and Roxas is one of my favorite characters from KH. Hardest part: Omg the hair D:, in the original imagen it's not that defined and I had to redo a lot of details. Time: Two weeks, working 2 hours per day more or less. Not-so-favorite part: The lines, I changed the colors, the size, the texture, it just keep looking kinda odd..it still does .-. I remember you gave me the screenshot (3 years ago lol). 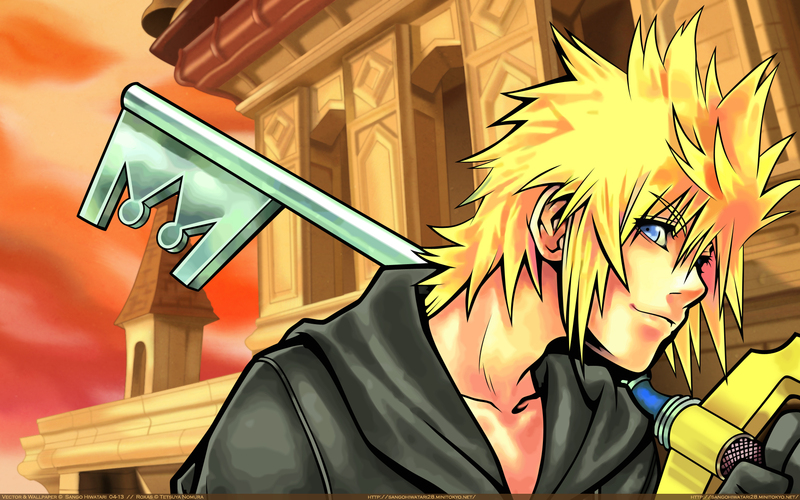 it came out pretty good although I guess the outline for Roxas is just too thick and kinda misplaced with the bg. but I like the sunset colors. I feel the bg looks like cake though, it looks pretty squishy but it's probably just me. Overall GREAT JOB AND WELCOME BACK.